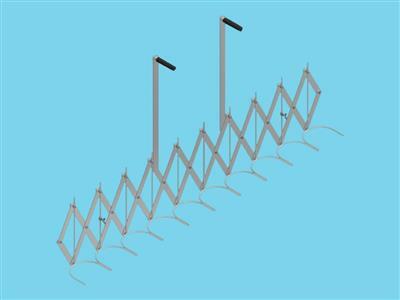 The pots extension fork is used to place the pots in the greenhouse with a wider space between them. It's equipped with stainless steel fork. The number of pots per time depends on the wishes of the cultivator. The most common are the 6 and 8 feet forks. The pot size must always be specified. There are also loose forks available for the extension forks. The advantage is that in one motion multiple pots can be replaced. For large containers, the weight will determine the function and the number of containers to be moved.